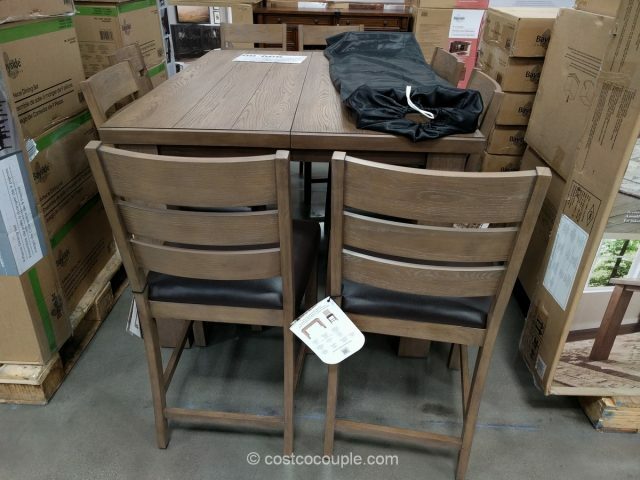 The Universal Broadmoore 9-Piece Counter Height Dining Set is constructed of poplar and rubberwood solids with oak veneers. 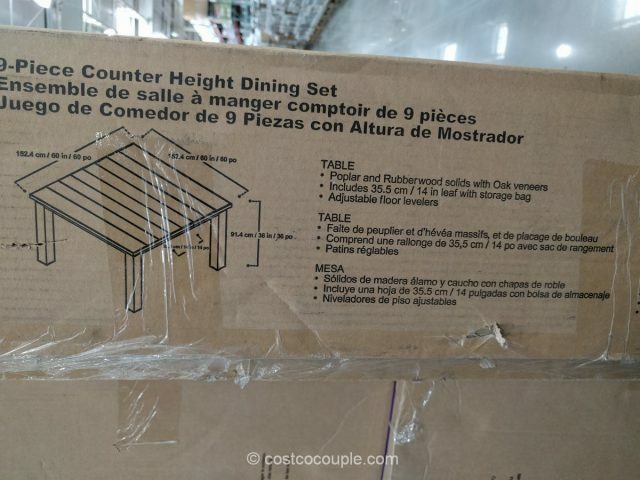 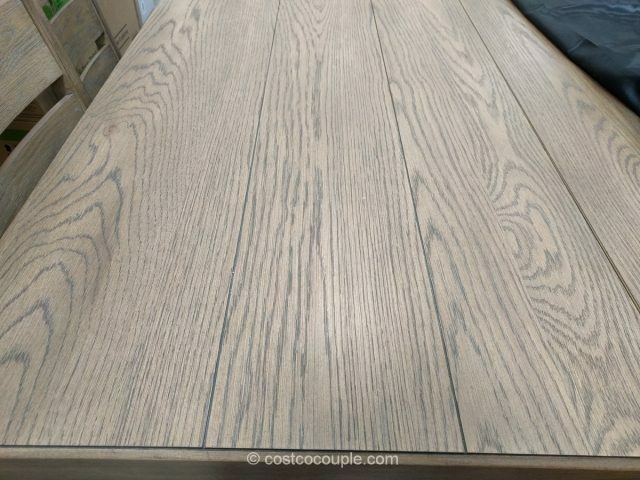 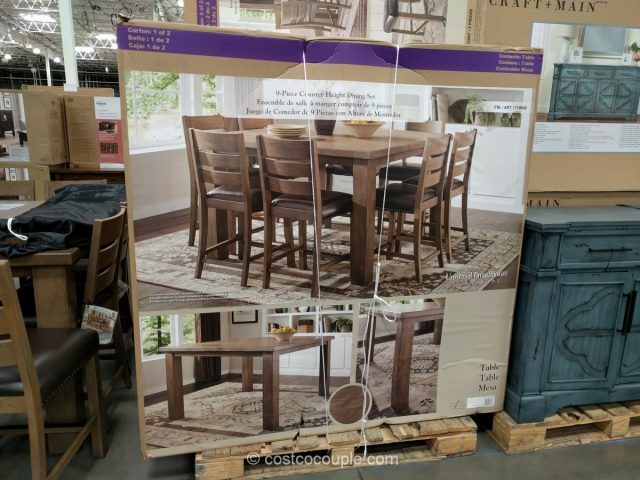 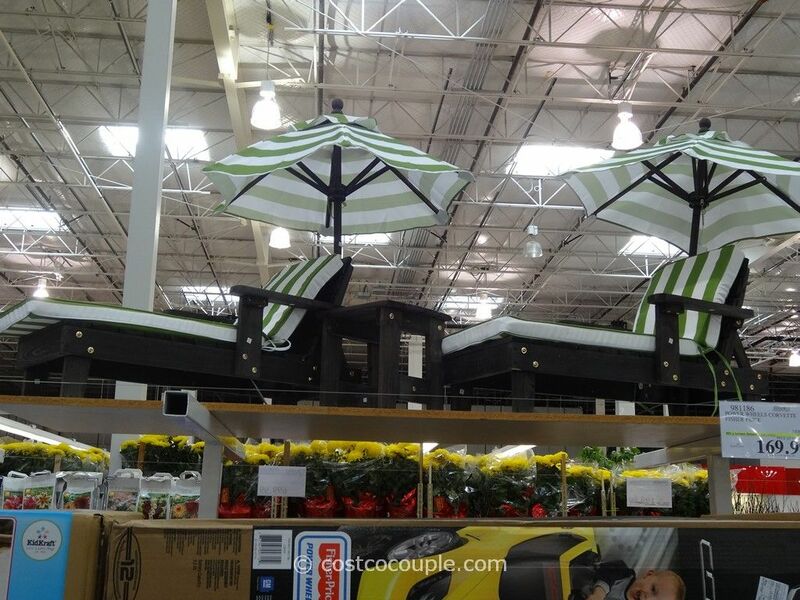 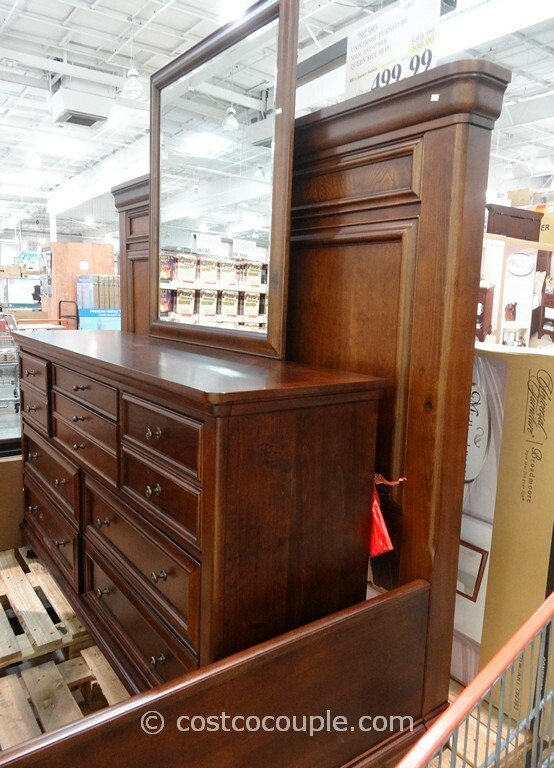 It has a lighter color than the other dining sets we’ve recently seen at Costco. 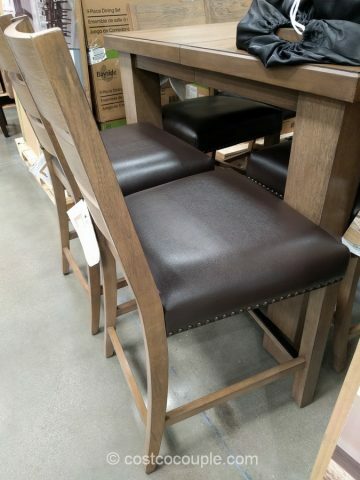 The chairs have a ladder-back design with bonded leather seats and a nailhead trim around the chair seats. 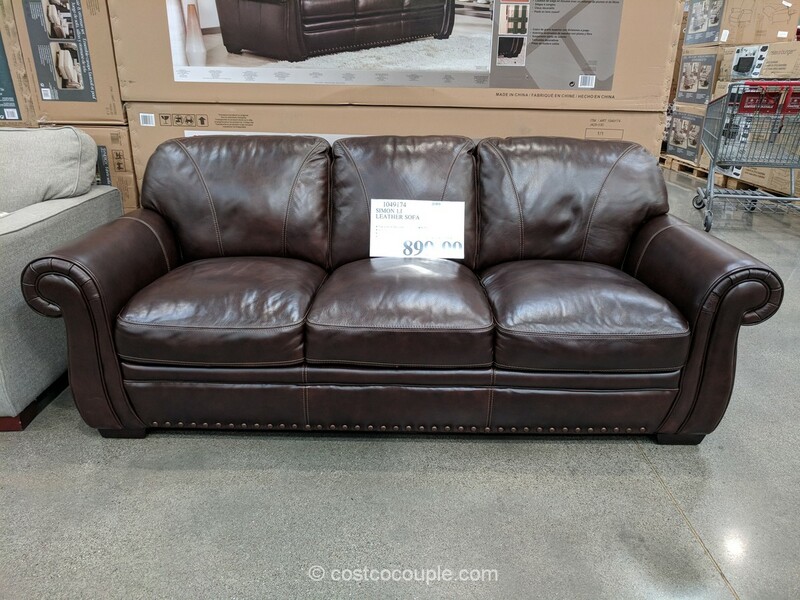 There’s a protective metal cap on the front foot rest. 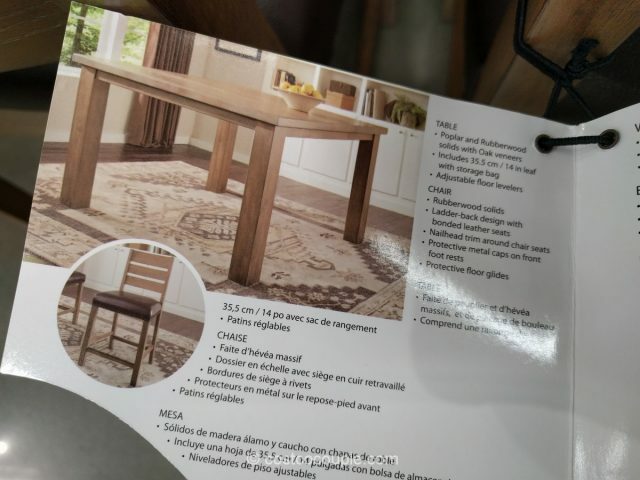 A 14-inch leaf is included with a storage bag. 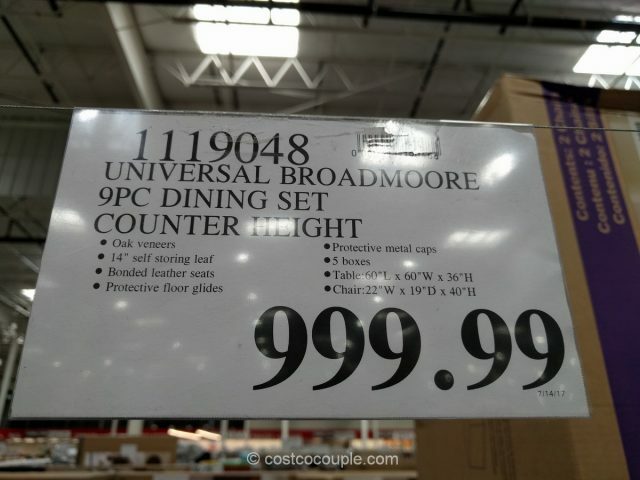 The Universal Broadmoore 9-Piece Counter Height Dining Set is priced at $999.99.